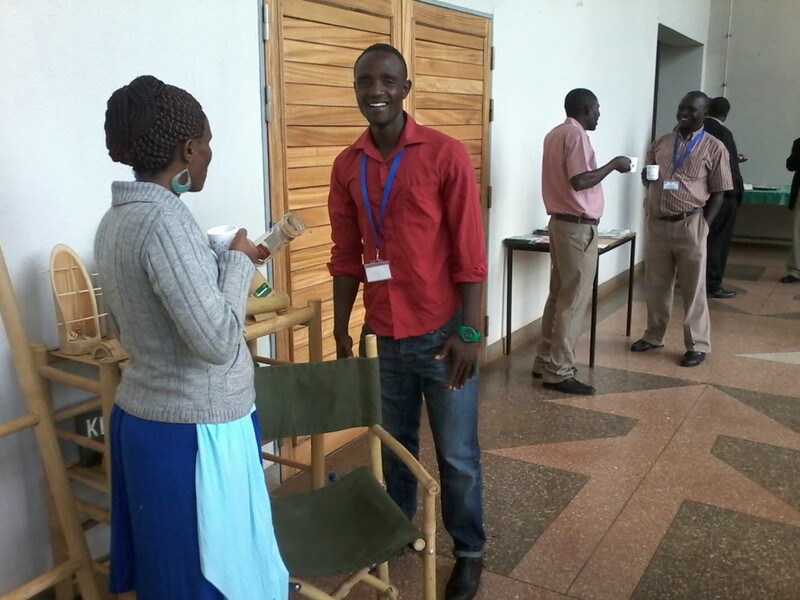 Bamboo products increases its popularity throughout Kenya, and internationally. 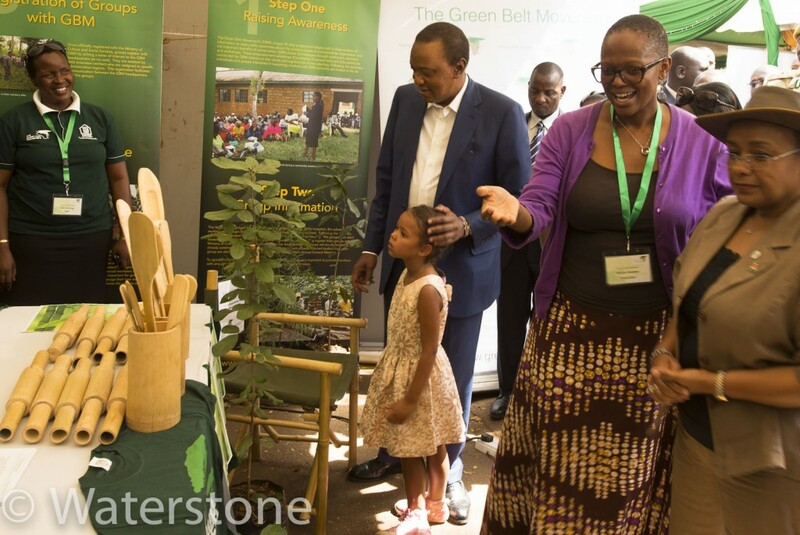 The bamboo products made by the Green Belt Movement women group in Muranga, in cooperation with Waterstone, where shown at the World Wildlife Day, at the exibition by Kenya Wildlife Service. The President of Kenya, Mr Uhuru Kenyatta, is here admiring the products. The paded safarichair of bamboo is made in cooperation by Waterstone and their Norwegian designer Miriam Pedersen, and Felix Akoko and Bosco Musau from Kenya Bamboo Centre. 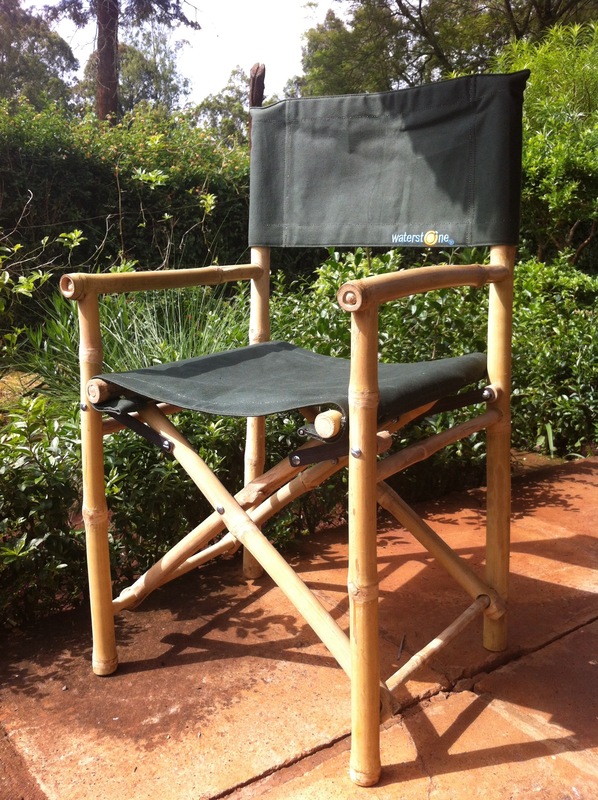 The interest for this chair has been great, and shows the market potensial for the bamboo industry in Kenya, and Eastern Africa. Several fairs and bamboo market days has been held, with great success. 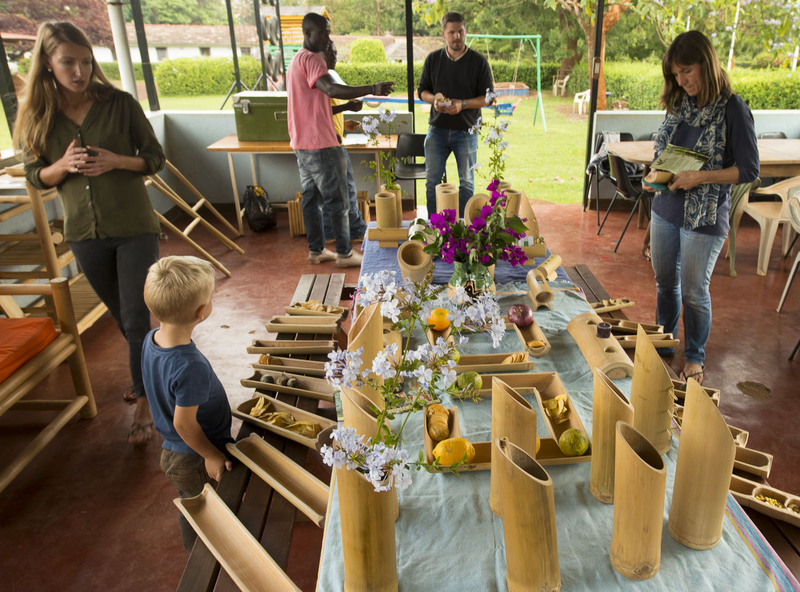 Felix selling bamboo products at KEFRI, at a workshop held by INBAR. Waterstone where one of the key speakers at this bamboo event.